Many patients look into getting plastic surgery to enhance their appearance or boost their self-esteem. 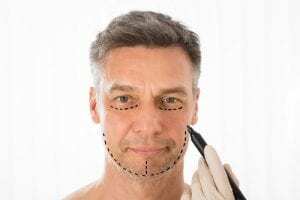 While most surgical and non-surgical procedures are usually performed on older patients, younger people also wish to undergo plastic surgery due to ridicule or embarrassment in their appearance. But how young is too young for your child to undergo plastic or cosmetic surgery? It is important that your child has a fully developed targeted area before they undergo any plastic surgery procedure. Certain procedures like otoplasty (ear surgery) are commonly performed on younger children because their ears reach their full size around 6 years old. Younger teenage patients who wish to have rhinoplasty (nose surgery) can usually do so since your nose fully develops around 14 or 15 years of age. However, surgical procedures such as breast augmentation may not be suitable for young females unless their breasts have reached full development. Non-invasive procedures like chemical peels and laser skin resurfacing are common among young patients. These methods can eliminate the appearance of acne scars and skin discoloration for smoother, natural-looking skin. It is safe and can be performed on patients of any age. Young patients who wish to enhance the appearance of their lips, cheeks, frown lines, or wrinkles may want to consider dermal fillers or BOTOX® Cosmetic. However, most professionals are against the use of these treatments for younger patients. Those who would like cosmetic surgery must usually be 18 years of age or older or showing noticeable signs of aging. Surgical procedures like gynecomastia, also known as male breast reduction surgery, can help young boys who have developed overly large breasts. In most cases, once a male’s body has fully developed, the breast tissue will begin to slim down. However, severe cases of gynecomastia may require surgical attention. Young female patients whose breasts are overly developed after puberty can look into getting breast reduction surgery. This will remove excess breast tissue and fat while also relieving them from any chronic back or neck pain they may have been experiencing. Once you and your child have decided if plastic surgery is the right choice, the next step is to schedule a consultation with a professional. Parents should accompany their child during their appointment to ensure all questions and concerns are addressed. An evaluation of your child’s body and goals will help determine whether they are candidates for their desired procedure or not. They should also be in good physical and mental health. If you would like to schedule a consultation with your child, or if you would like more information about the availability of procedures for patients under the age of 18, contact our office at 714-312-3549.